Treasure House Limited, now Treasure House Company, was incorporated in 1985. We are a family-run business, supplying quality products and outstanding service to the jewellery trade for 30 years. Our comprehensive range is widely admired in the trade, backed up by our state of the art computerised system, which gives us the edge on our competitors. We continually search for the latest trends and styles to ensure that we can provide you with the most sought-after products throughout the year. 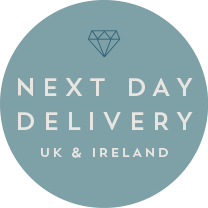 Our consistently high stock levels in conjunction with our Next Day Delivery policy, ensure you need never be overstocked. Our website is an extension of our services, reflecting our commitment to maintain our position as a leading wholesale supplier. We look forward to welcoming you as a valued customer.